The kids want kale after school EVERY day!!! I can’t belive it myself. 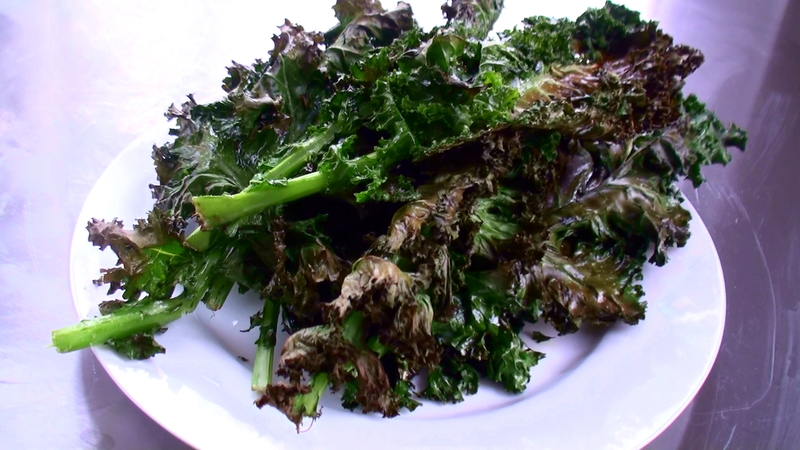 Kale is one of the healthiest vegetables around brimming with vitamins like C, A and K, researchers have found no less than 45 different flavonoids in kale and it’s also very detoxifying. This weeks veg-box was full of kale and I decided to follow my friend The American Resident’s recipe for crispy kale HERE. It’s so easy to do: Wash the leaves, dry them really well. Put coconut oil or olive oil on your hands and cover the leaves. (Some people cut the stalk off, but I eat it). Arrange them in one layer on a baking try and bake in the oven (190°) for 10-20 minutes, until they are crispy. Sprinkle Himalayan crystal salt on top and serve immediately. I have to admit that I had never ever heard of kale before. I need to try it!